Cary Healthcare Associates is nationally recognized as a Patient Centered Medical Home. Our Board-certified Family Medicine professionals and support staff strive to encourage the mental, physical and emotional well-being of our patients. We provide general family practice services, preventative services, men’s and women’s health, skin diseases, coumadin, onsite pharmacy and laboratory services, and holistic/alternative care. 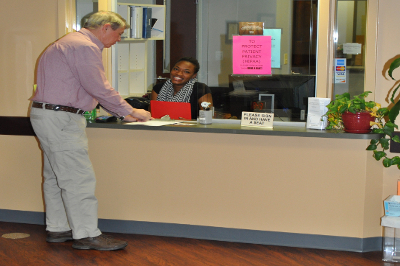 Our mission is to provide thorough, compassionate, high quality care to all of our patients in a respectful manner. Our health professionals are committed to helping our patients realize their optimal health physically, mentally and emotionally. Many diseases and illnesses are discovered during routine physical exams and other routine screening tests. Becoming aware of serious issues at the early stages can help prevent them from becoming serious. Schedule an appointment today! many other women’s health issues. All of our providers offer women's health and are here to help female patients maintain optimal health. other conditions that impact men. 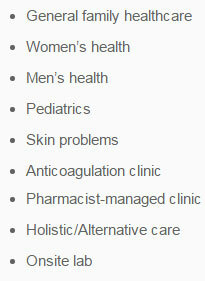 All of our providers offer men’s health services and can help male patients maintain optimal health. Besides providing routine health care, well child visits are important because they are effective in helping prevent and detect illnesses and problems before symptoms occur. Regular pediatric well child visits are intended specifically for children from birth through their teen years. This is a period of rapid growth and change and is the best times to address conditions that can affect there long term overall health and development. We offer premium care for a wide variety of skin disorders and dieases. As a Level 3 patient-centered medical home (PCMH) having on-site laboratory services, provided by LabCorp, greatly enhances our ability to provide premium health care service to our patients with faster results and effective communication.